All our benches are made to a very high specification, to give a maximum service life. We only supply what we manufacture; we do not import or sell other companies products. 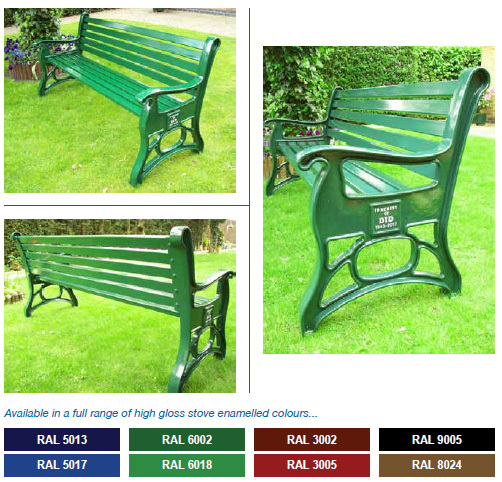 Our benches may be of use as a Park or Garden Bench (with or without any inscription) or as a Commemorative Bench to mark an important occasion or date. The inscription is cast into the bench ends, thus making the message an integral part of the design.